Collector Karla Piecuch contacted artist Calvin deRuyter about his work within weeks after he appeared on the Xanadu Gallery website as a Studio Artist. She was interested in his watercolors, but the ones that interested her the most were not large enough for the space that she had in her dining room. In fact, her favorite one was one-tenth of the size she would need. Through a couple of telephone conversations, and more than a dozen emails, deRuyter was able to understand what it was about his work that was really drawing Piecuch to his paintings. It was not only the mood and the style of his paintings, it was also specific colors she saw in several of deRuyter’s works that she wanted to draw from the room into the painting. After receiving color chips from the room’s wall and understanding the colors of several important accent pieces she already had, deRuyter proposed a commission piece that was 36”x48”. The painting, which is painted on paper, is mounted on canvas stretchers and covered with several protective layers of wax so that it does not have to be displayed under glass. To integrate the painting even more into the room, deRuyter suggested that the sides of the stretchers bars be painted the same color as the walls. As a companion piece for the same wall, Piecuch also purchased a painting from deRuyter's inventory that was an amazing complement to the new commission piece in color and style. “Cal, thank you so much for your inspiring artwork. When completing a home, it is a collaborative effort. You very much understood the mood, the setting, the colors of what I wanted to re-create,” commented Piecuch. Create your FREE Xanadu Studios account now. The aim of Xanadu Gallery's art marketing efforts is to help artists grow their art careers by facilitating the connection between gallery artists and discerning collectors. We do this by introducing collectors to artwork through our location in the heart of the Scottsdale's Fine Art District, as well as Xanadu Studios, our online art gallery. Xanadu Studios is an online art marketing site backed by an established bricks-&-mortar art gallery; it's a hybrid art gallery for selling art in the 21st Century. We partner with you to promote your work both online and in our beautiful Scottsdale location, which offers you simultaneous online marketing of your art and representation by a well established art gallery. If you are interested in marketing art with Xanadu, we invite you to apply for artist representation in Xanadu Studios. Upon acceptance, we introduce your art to our collectors and begin to build a following for your work. 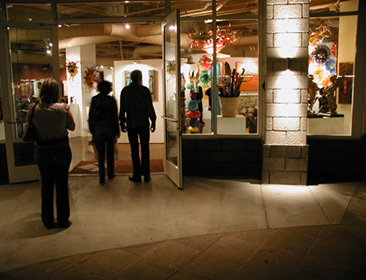 Our most popular studio artists are invited to sell art in Xanadu's Scottsdale art gallery. In Xanadu Studios you'll enjoy selling art in good company with quality gallery artists. Our active art marketing efforts are focused on the juried art found in Xanadu Studios and Xanadu Gallery in Scottsdale. Our art collectors count on us to sift through the millions of art choices on the web and present the best to them. We are committed to remaining a quality fine art gallery destination. Expose your art to Xanadu’s current 9-year and growing collector and prospective collector base. Selling art is the objective of our marketing efforts. We do that by (1) generating leads with our Scottsdale location and our website, (2) encouraging buyers and prospective art collectors to visit Xanadu Studios online to see our full inventory of art, and (3) maintaining contact with past buyers and prospective leads through print and email art marketing. Expose your art to Xanadu’s walk-in traffic. We tell every person who walks through our doors to see all our gallery artists and our full art gallery offerings online. We have a kiosk available in the art gallery for visitors to access Xanadu Studios online where they learn about all our artists and their artwork. Build your resume with Scottsdale gallery representation. Gallery representation often leads to more gallery representation in other markets. Our successful artists show their work in multiple geographic markets. Increase possibilities for working directly with collectors when selling art. Xanadu Studios encourages the artist/collector connection by placing your contact information on your studio page. Keep 80 percent of the selling price when you sell art from your Xanadu Studio. Xanadu takes only a 20% commission on artwork sold through the website, unlike the 50% standard in traditional galleries. It takes just a few simple steps to upload your artwork to our studio site for review by our selection committee. Upon acceptance your artwork will appear on xanadugallery.com and you will be able to upload additional images to the site. Your artwork is then searchable through Xanadu's categorized art pages. Collectors shop you through our physical location or from anywhere in the world via the internet. When collectors purchase or commission art directly through Xanadu Studios, they can pay for the art and the shipping through our secure server. Xanadu holds the money in trust for seven days after the artwork is delivered (to allow for possible returns), at which time we issue payments to you via check or Paypal. We will notify you by email or phone that a purchase has been made, and tell you where to ship the piece. You ship the artwork to the collector within three days (allowances will be made if you are traveling or need more time to ship). Collectors have seven days from the time the artwork is delivered to finalize a sale. Once the sale is finalized we will send your payment and reimbursement for your shipping expenses. Collectors who return art within a week are responsible for shipping it back to you. You are also reimbursed your initial shipping expenses. When collectors purchase or commission art directly from you we trust that you will send us our 20 percent commission. Apply for membership as a gallery artist in Xanadu Studios by submitting work for review by Xanadu's jury. Within two weeks (usually sooner) you'll receive an email informing you whether Xanadu is a good fit for your work. Once you have have been accepted your page will become active and you may begin uploading additional work. For a summary of what is included in your free account, please see the chart below. For frequently asked questions regarding Xanadu Studios and our gallery representation process please see our FAQ. If you still have a question please email us at the address below. Is Xanadu Studios really free? In short, YES. This is not a trial membership - you do not have to enter your credit card number and there are no hidden fees. Xanadu makes money when you sell your art through our website - it's a win-win. Artwork is Listed on Site for 120 Days (this is how long any individual piece of artwork will remain on the site. Your account is permanent and does not expire. You may continue to upload artwork to your page as long and as often as you would like. If a piece is still available for sale after the initial 120 day period you may reload it to the site if you wish. The purpose of the time limit is to prevent artwork from becoming stale on the site. Xanadu reserves the right to change the terms of our agreement to show your work on our site at any time. You have the right to remove your artwork from the site and cancel your account at any time. By applying to show your work on xanadugallery.com you certify that you are the creator and copyright holder of submitted artwork, or that you are the authorized representative of the creator and copyright holder. You retain all copyright to the images shown on xanadugallery.com but you authorize xanadugallery.com to use the images to promote your work on the site, in newsletters and other promotional materials. You may cancel your account at any time directly online by signing in to your account. May I show art I show through Xanadu Studios in other venues? Absolutely! We don’t want a monopoly on your art. We understand you need to do all you can to sell your art and that Xanadu Studios is just one tool in your toolbox. If you sell a piece through another venue, simply take it off of your Xanadu Studios page. If we don’t see a commission from you, we’ll assume you sold it without our help. How much artwork should I upload for review once I have set up my account? Please upload between 4 and 10 images for review so that our committee can see a wide sampling of your most recent work. Feel free to upload as many images as you would like us to see. Once you have been accepted to the website we encourage you to upload an even wider range of work. While there is no limit to the total amount of work you may show on the site, artists who upload work frequently are more likely to make sales. Rather than uploading all of your work at once you might consider loading 2-3 images per week. How do I log into my account to change my information and upload additional images? To log back into your account point your mouse to the studios link at the top of any page, a link will appear below that leads you to the artists login - here you will login to your account using the username and password you established when setting up your account. How important is it to add a description to each piece of artwork? What should the description contain? While a description of the work is not required, we highly recommend you include a detailed description with each artwork. The description should include the story of how you created the work, what inspired you, any interesting facts about the work. Be sure to include terms potential collectors would use in searching for art like yours (e.g. Arizona desert landscape painting). You should also include detailed information about the presentation of the work (is it framed or unframed, if unframed will it need to be framed, etc.). If a collector sees my work on Xanadu Studios and commissions me to create a work, or buys a work directly from me, how do I remit Xanadu's commission to Xanadu? Upon completion of the sale you may remit the commission to Xanadu via check or PayPal. If you wish, you may have Xanadu collect the proceeds of the sale from the client and process any credit card transactions.